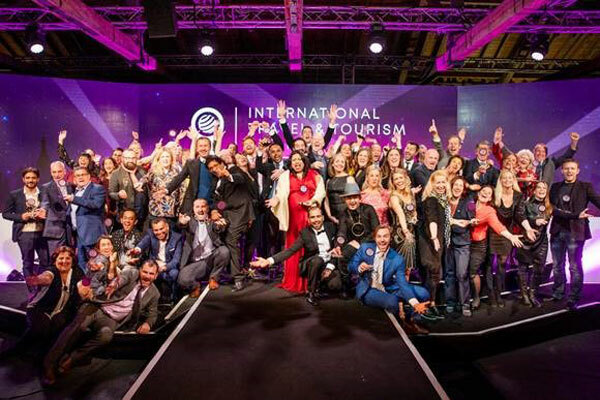 The lucky 14 winners of the first International Travel & Tourism Awards, presented by WTM London, were revealed at a glittering awards ceremony in London on November 6. The award winners were honoured in front of an audience of more than 500 senior industry professionals at the Grade I-listed Tobacco Dock, near WTM London’s ExCeL venue. Judged by an independent panel of experts from around the world, the 14 awards showcase the best in class of the global travel and tourism industry. Nick Pilbeam, divisional director at WTM London’s parent company, Reed Exhibitions, led the judging panel alongside UNWTO’s director of communications, Marcelo Risi. ITTA’s co-founder Paul Nelson said; “We have been delighted with the response from the industry to the ITTAs and blown away by both the quantity and the qualities of the entries." “All the finalists represent what these awards are about: celebrating the success of national, regional and city tourist boards and recognising outstanding private sector companies and individuals."